Directions: from Mina Salman head on the King Fahad Causeway Road after 16kms take the Budaya exit just before the Saudi Causeway. at the exit turn right along the Janabiya highway towards Budaya; Turn right at the first set of lights and Look for signs. Your Hash is looking for volunteers for the 2014 mismanagement; all positions are open and there will be an election tonight to fill all the places, please think hard and help your Hash! From Mina Salman head west along the King Fahad Causeway Road towards Saudi Arabia. At the Sitra flyover junction make sure you are in the right hand lane and take the exit at the top, sign posted Um al Hassam which takes you onto Kuwait Avenue. 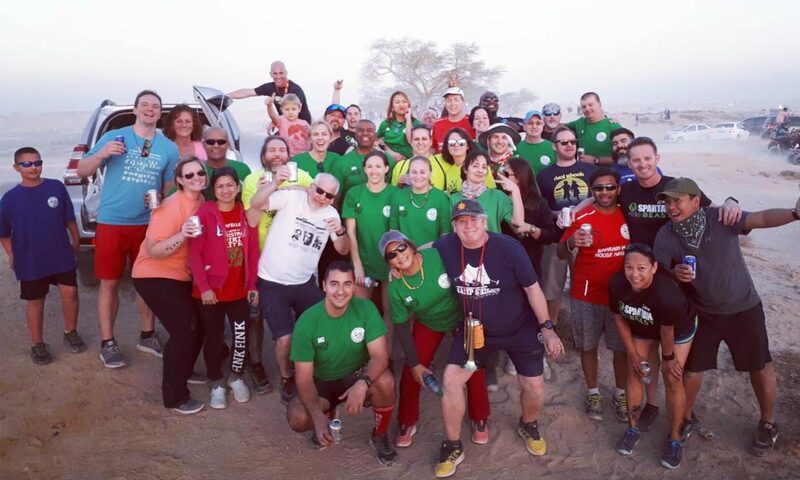 This week’s Hash no.2207 on Monday 6th January at 1730 will be held in the Seef district from Meena Salman head north past the grand Mosque and follow the main road round Manama past the diplomatic area and the financial harbour and head towards Seef. At the main junction for the turning for Citycentre take the exit and look for signs!